Introducing two new screen layout modes! We listened to your feedback. Now, Team Paltalk is proud to present Multi-Window Mode! Try it out today on Paltalk for Desktop! Whether you want to minimize your lists, prefer foregrounding rooms, or just like that dark blue, multi-pane aesthetic, Multi-Window Mode has all the features you want in a new (old) shape. 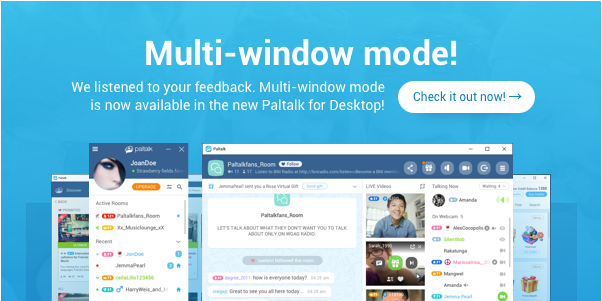 Download or update your Paltalk for Desktop to experience your favorite new features with a more familiar look and start using Multi-Window Mode today! 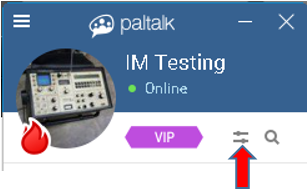 You can pick the new screen layouts from the Paltalk settings window. (see below). Compact mode removes the circular profile pictures from your pal list, and from the member list in chat rooms. Multi-Window mode 'splits apart' the interface into separate windows, similar to our older 'classic' messenger version. You will have a separate pal list, home screen, group directory, IM windows, and you can be in several chat rooms at the same time with a separate window for each chat room. 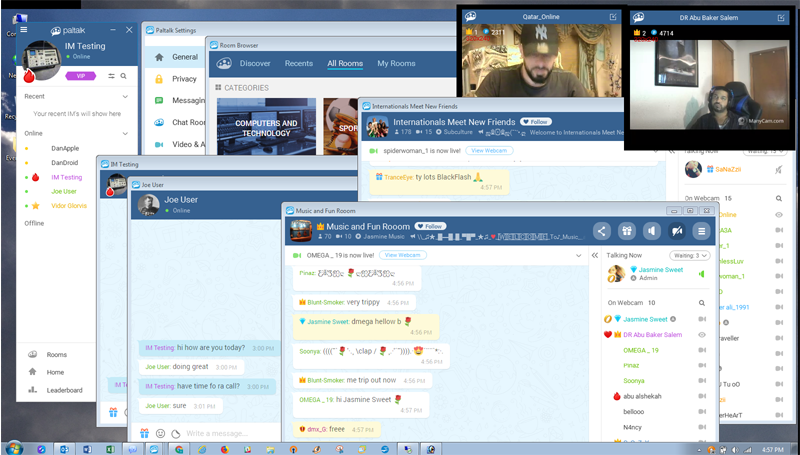 You can also 'pop out' video viewers from any open chat room and arrange them on the screen as you like. 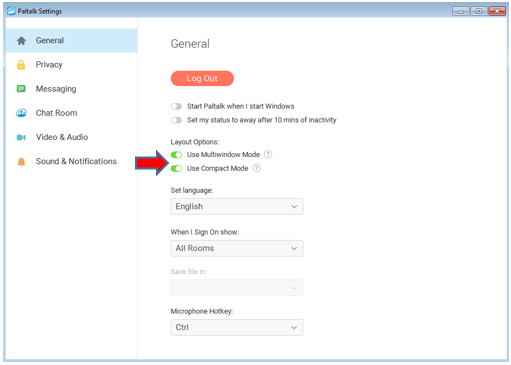 You can access these new screen layout modes under the 'general' settings in setup / preferences. Now click on 'general' on the left side of the setttings window. Use the 'layout options' switches to enable multi-window mode, or compact mode, or both if you like.